This resource has been produced to accompany the exhibition 'Takesada Matsutani. 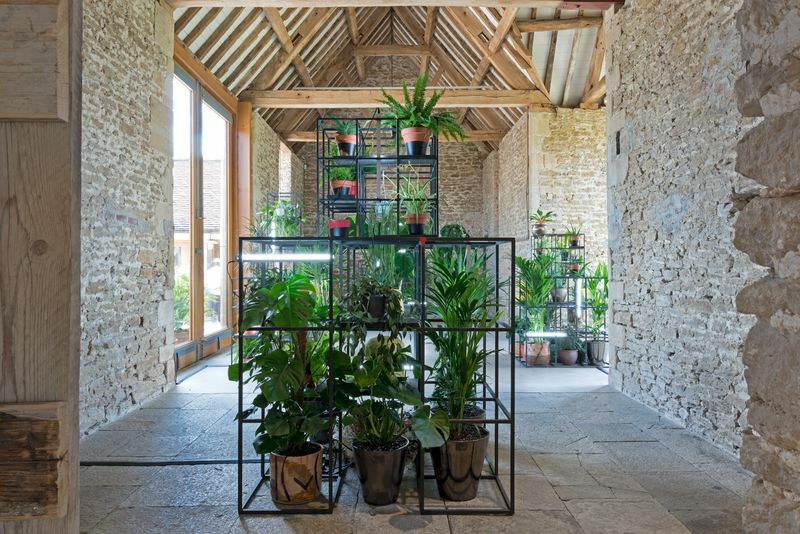 drop in time’ at Hauser & Wirth Somerset from 29 September 2018 until 1 January 2019. All group visits to Hauser & Wirth Somerset must be booked at least two weeks prior to arrival. Register your interest in a school booking here or contact the Education Team at education@hauserwirth.com. If you have questions or additional requests, please call our team on +44 (0) 1749 814 060. Takesada Matsutani was born in Osaka, Japan in 1937, just before the Second World War. He studied traditional Japanese painting called Nihonga at the Osaka Municipal High School of Crafts and Arts (Ōsaka Shiritsu Kogei Gakkō), and later became a key member of the Gutai Art Association (active 1954 – 1972), Japan’s innovative and influential post-war art collective. 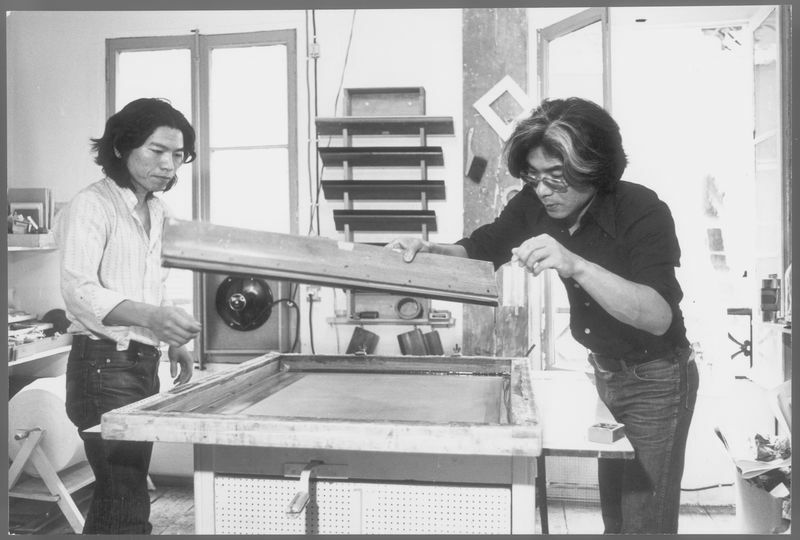 In 1966, after winning first prize in the 1st Mainichi Art Competition and receiving a grant from the French government, Matsutani moved to Paris and began working with Stanley William Hayter’s renowned printmaking studio, Atelier 17. Here he devoted himself to the techniques of etching and engraving. Over the next four years he established his base in Paris, where he married and learnt French. Matsutani continues to live and work in Paris. Solo exhibitions include Japan House, Sao Paolo, Brazil (2018); Manggha Museum, Krakow, Poland (2018); Otani Memorial Art Museum, ‘Currents’, Nishinomiya, Japan (2015); Espace muséographique George Baccrabère, Institut Catholique de Toulouse, Toulouse, France (2012); and Museum of Modern Kamakura, Japan (2010). What does Matsutani’s work look like? Matsutani’s work is abstract and gestural and he uses a range of media. 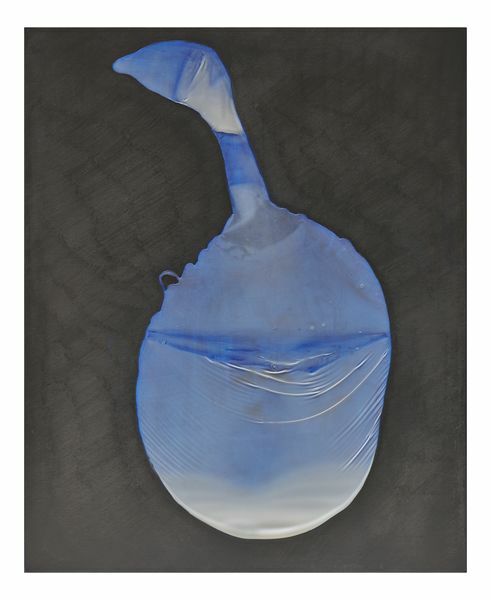 His signature style of circular, bubble-like forms is made of blobs of glue deposited on the surface of the canvas. His intensive method of mark making with graphite creates smooth, metallic, expansive surfaces, made up of individual, painstaking strokes. 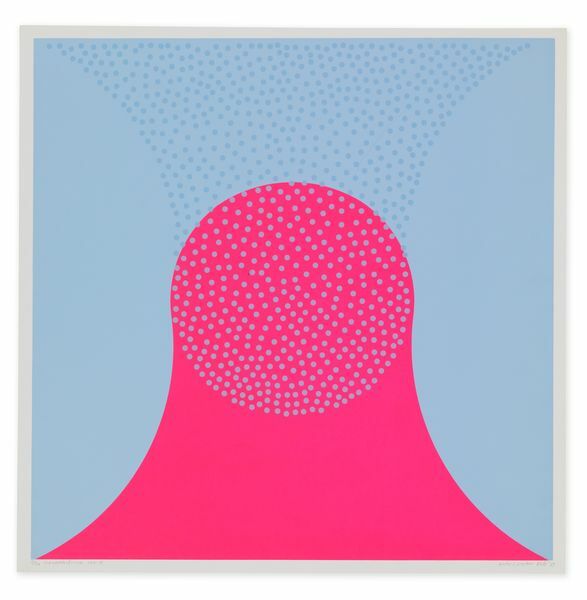 Matsutani’s prints are bold and colourful, and incorporate elements that refer back to the organic forms he made with glue, but in a two dimensional format. What are the main themes of Matsutani’s work? Matsutani is interested in the present moment in time and the flow of life itself; this represents a link to his cultural roots in Japan, including the Buddhist outlook that influenced his background and aesthetic sensibility. In his work, the eternal, the infinite, and the endless cycle of life and death become articulated. This is shown especially in his graphite and glue works made entirely by hand using repetitive mark making, as well as the installation in the Threshing Barn. 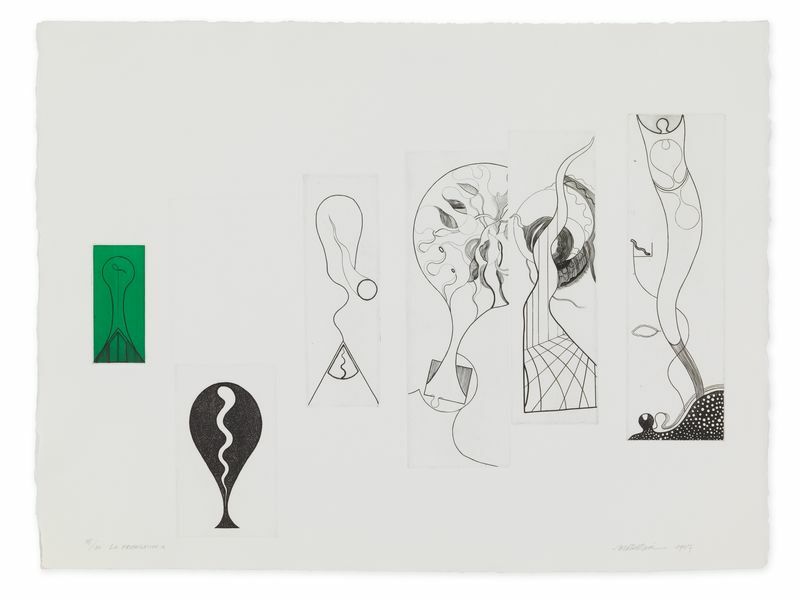 His experimentation with process and material, such as using his own breath to create three-dimensional, bulbous forms responds to the curves and features of the human body. How does Matsutani make his work? The installation in the Threshing Barn is made with Sumi ink, which is used in traditional Chinese calligraphy. The installation demonstrates the importance of performance to the artist’s practise, and was activated by the artist during the opening night of the exhibition. Alongside this installation are a series of circular paintings or tondos. Almost two meters in diameter each, they are made using vinyl adhesive, paint, and graphite. Matsutani’s most well known method of working is the application of polyvinyl acetate adhesive, otherwise known as Elmer’s glue, which was unavailable in Japan until the 1960s. The glue is applied to canvas and allowed to dry forming a type of skin, which he then breathes into, essentially sculpting the surface with his breath, using simple tools such as straws and fans. In his later paintings, Matsutani carefully controls the glue as it moves across the canvas surface. He captures and deflates pockets of air, creating wrinkles and crevices as the adhesive starts to dry. He sometimes draws back onto the surface, with graphite or paint. The methodical approach to Matsutani’s practice is intuitive and often labour intensive, becoming meditative or contemplative. 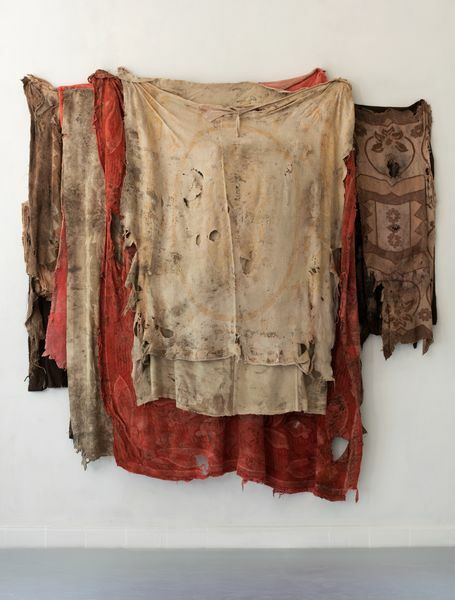 His smaller scale assemblages, mounted in the final gallery, are composed of a variety of found domestic objects. They are made of both hard and soft material, and evoke notions of the surreal. Matsutani is concerned with notions of time and the cyclical nature of life and death, and visualises this through the relationship between gesture and material. The Gutai Art Association’s focus on developing a new type of relationship between spirit and material, in which neither would dominate the other (Jiro, 1956), was particularly influential for the artist, especially while he explored the notion of the accidental. 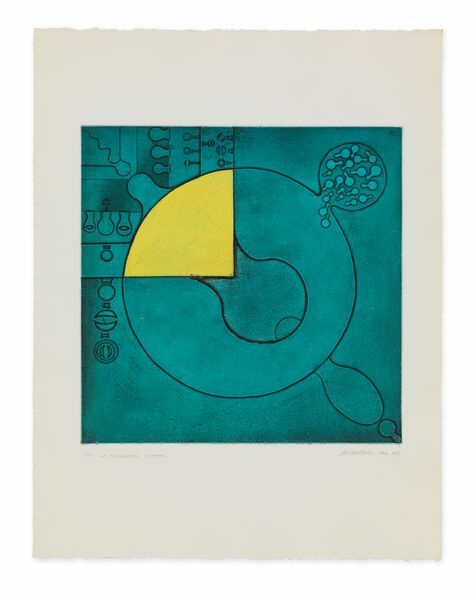 After moving to Paris, Matsutani began exploring printmaking, a process requiring forward thinking and planning, which stands in opposition to his allowance of chance explored during his Gutai period. 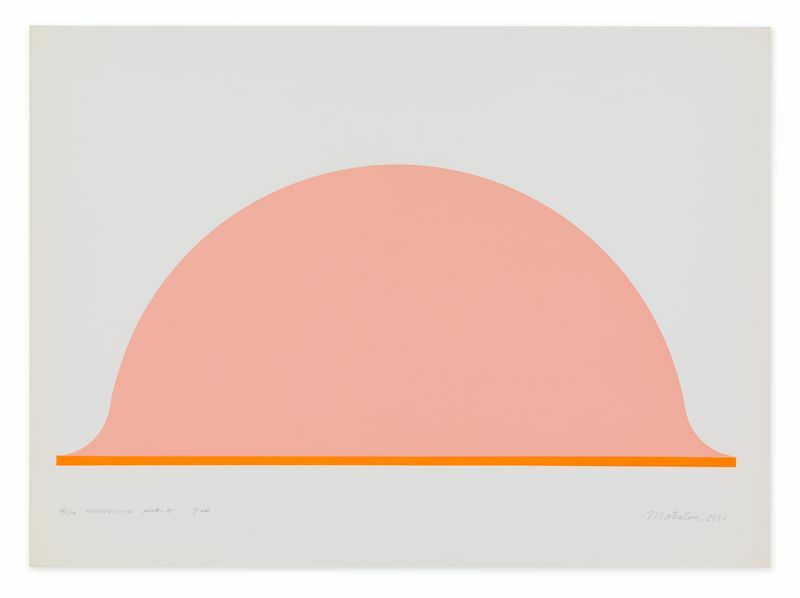 Influenced by the theories and history of ‘the image’ in Western culture, in particular American Minimalism and the Hard Edge paintings by artists including Ellsworth Kelly and Carmen Herrera, Matsutani re-arranged and tested the limits of pictorial space, to conceive new abstract compositions. How does Matsutani title his work? The title of this exhibition, ‘drop in time’ refers to a new work Matsutani created especially for the exhibition. It recognises the duration of time from the artist making the work to the viewing of the work by others. He titles his work after he has completed it, often by making reference to a location or visual property of the work, for example, ‘Venice Stream’, which is included in this exhibition and was made for the 57th Venice Biennale. What other artist’s work does Matsutani’s practice relate to? 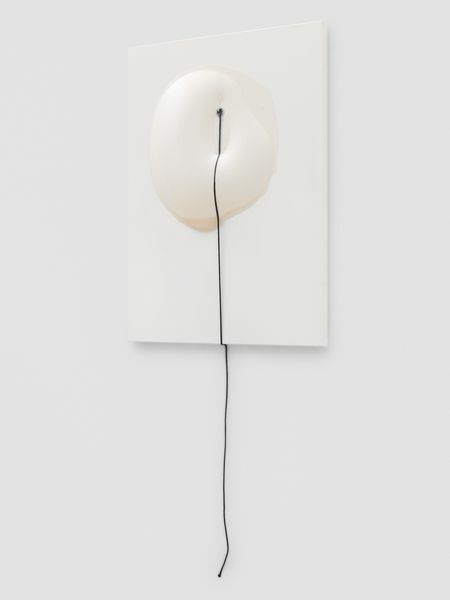 Matsutani’s work strongly relates to other artists involved with the Japanese group The Gutai Art Association. The Gutai artists are considered to have anticipated later Happenings and Performances, for example Yves Klein from 1957, who visited in Japan in 1952–1954 and introduced Gutai to the German artists of ZERO and Piero Manzoni, as well as conceptual art. For further details on Manzoni, see here. Gutai artists also created works that would now be called installations, inspiring the work of artists such as Allan Kaprow, and Nam June Paik and leading to the later Fluxus group. For further details on Kaprow, see here. Assemblage Assemblage is art that is made by assembling disparate elements – often everyday objects – scavenged by the artist or bought specially. 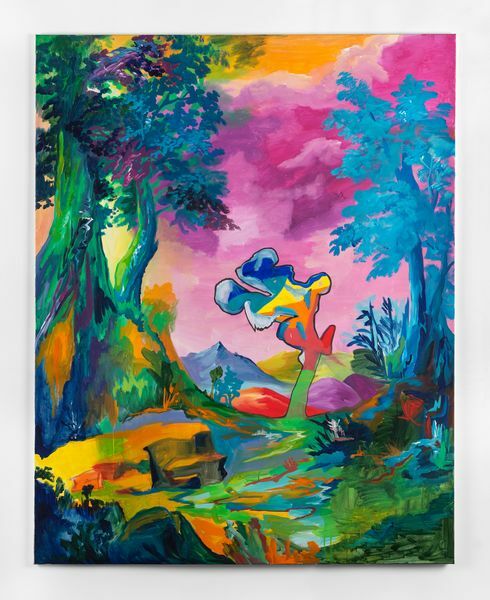 Other artists to consider: Jason Rhoades, see here or Phyllida Barlow, see here. Gutai Art Association The Gutai Art Association were a Japanese avant-garde group founded in 1954 by Yoshihara Jiro, Kanayma Akira, Murakami Saburo, Shiraga Kazuo and Shozo Shimamoto. The group’s radical ideas and approaches to making art anticipated later performance and conceptual art of the 1960s and 1970s. 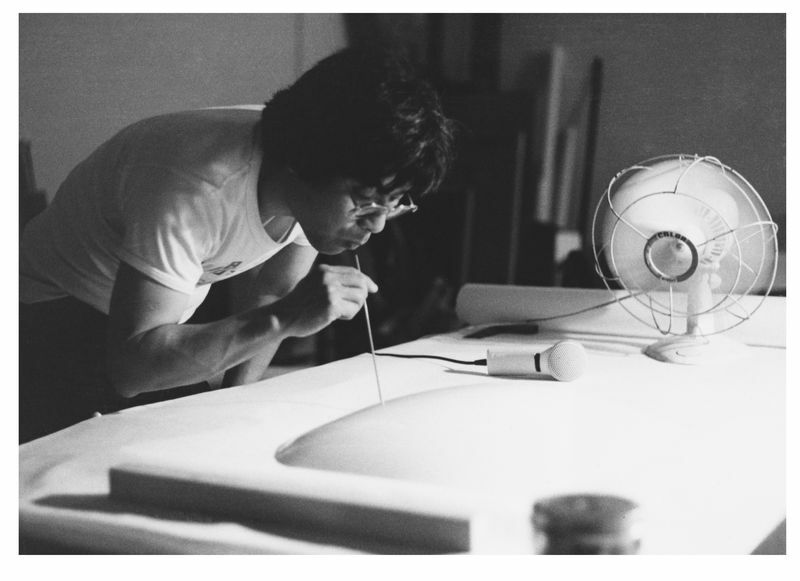 ‘Gutai’ translates to ‘embodiment’ or ‘concrete’ and were active from 1954-1972. Hard Edge abstraction The term Hard Edge refers to an approach of abstract painting that became widespread in the 1960s and is characterised by areas of flat colour with sharp, clear (or ‘hard’) edges. Another artist of interest in relation to the term Hard Edge is Mary Heilmann, see here. Individualism Individualism is the moral stance, political philosophy, ideology, or social outlook that emphasises the moral worth of the individual. Individualists promote the exercise of one’s goals and desires and so value independence and self-reliance. Installation Mixed-media constructions or assemblages usually designed for a specific place and for a temporary period of time. Other artists to consider: Pipilotti Rist, see here. Minimalism Minimalism is an extreme form of abstract art developed in the USA in the 1960s and typified by artworks composed of simple geometric shapes based on the square and the rectangle. 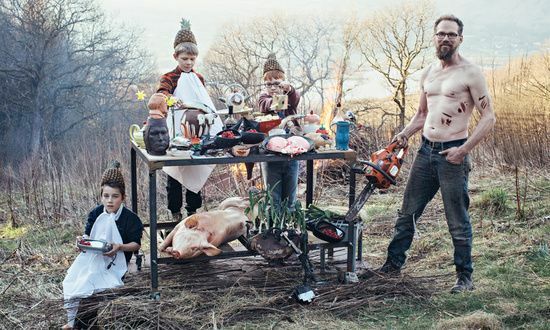 Other artists to consider: Stefan Brüggemann, see here. Nihonga Nihonga is traditional Japanese style, developed in distinction from Western techniques, based on painting styles that have evolved for over a thousand years, and the materials used are traditional elements developed during that long history. In general, the support is paper, silk, wood, or plaster, to which sumi ink, mineral pigments, white gofun (a white pigment made from pulverized seashells), animal or vegetable colouring materials, and other natural pigments were applied, with nikawa, an animal glue, as the adhesive. Performance art Performance based artworks are those that are created through actions performed by the artist or other participants, which may be live or recorded, spontaneous or scripted. Other artists to consider: Allan Kaprow, see here. Site-specific Refers to a work of art designed specifically for a particular location and that has an interrelationship with the location. Other artists to consider: Dan Graham, see here. Tondo Tondo, the Italian word for ‘round’, refers to a circular painting, relief carving, plaque, or mural design. The tondo, which became popular in Italy during the 15th century, was derived from round reliefs of subjects such as the Madonna and Child that were used in wall tombs. NB. You will need to bring pencils and a sketchbook. Mark marking plays a significant role in Matsutani’s work; students will explore different techniques for mark making, creating marks that are loose and gestural or controlled and neat, made up of different lines, dots, marks or patterns. As a group discuss if the work is time-based? What kind of time does the artist employ, real or fictional? Does the work demand a certain amount of our time or does the work itself change over time? With a partner discuss how the artwork makes you feel; does it make you feel large or small? Are you drawn close to it or pushed away; does it make you aware of your own body in any way? Mix glue and water and paint this mixture onto paper. Allow to dry and then sponge paint or ink over the glue to create an unusual surface pattern examining the different physical properties and qualities of the mediums. Drop ink or poster paint onto cartridge paper and ask students to use a straw to blow the paint in different directions. Repeat the process using different colours to create unpredictable lines and shapes. Explore how artists use chance and accident in their work. Matsutani was born in Japan; pupils can find out about Japanese culture and the visual arts such as ink painting and calligraphy. Experiment with mark making techniques using a variety of medium with plastic qualities such as pva glue, candle wax, salt and paint. Encourage students to manipulate and experiment with the process using non-traditional implements and techniques, such as blowing through straws. How does the exhibition help you understand installation and performance art? What is more valuable, the process or the product? 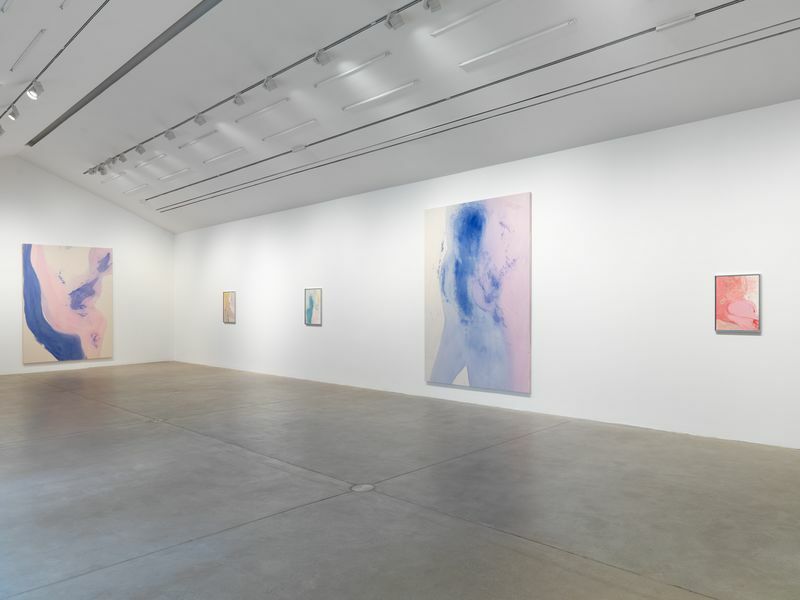 Takesada Matsutani, Stream, Hauser & Wirth London, 2013, see here. The grand old man of the Gutai group: an interview with Takesada Matsutani, Interview with Matthew Wilcox, ‘Apollo Magazine’, July 2016, see here.